Wine Collecting� When Does it Start? It usually begins when you go out and buy a case of that wine you really enjoyed at your favorite restaurant the other night. You know, it was an interesting Syrah, or Cabernet from California and you just fell in love with its seductive nose and velvety-smooth aftertaste. You looked around town, even checked Wine Searcher on the Web and finally found it for about half what you paid at the restaurant at an out of the way shop three towns over. You had to have a case, figuring that the wine could stand to age a little. Besides, you wouldn�t mind having some to take to friends, or to show off at the next family gathering. Yep, that is when it starts� you�re no longer merely a wine drinker; you�re now a wine collector. Wait a moment, you say. It was just one case and we really enjoyed it. That�s okay. There�s nothing wrong with becoming a wine collector. Some of my favorite people are wine collectors. 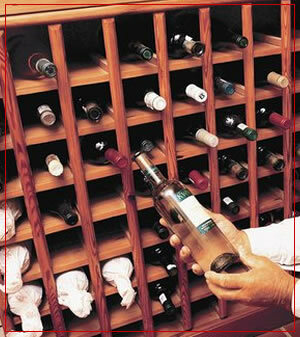 Wine collecting is not merely an exercise in amassing and preserving bottles of wine. Wine collecting has many facets. For some, the thrill of experimentation and the excitement of finding new wines from exotic places drive their fancy. 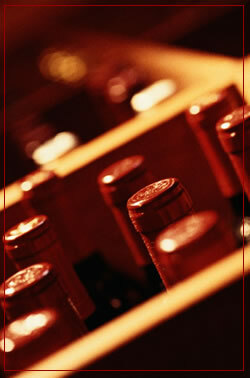 Others enjoy the feeling of satisfaction derived from assembling a collection of wines they can truly enjoy over time. Some folks like the knowledge that their collection is actually saving them money by affording them greater discounts at their favorite wine shops. Many are drawn to the educational aspects of collecting, both in developing a practiced palate as well as learning about the many subtle variations in wine laws, labeling, production techniques and varietal characteristics. Finally, some folks are just pure hedonists, deriving absolute pleasure from the sensual experience of drinking fine wine. For me it�s a little bit of all of the above that fuels my passion for collecting. Like most things in life, though, collecting works best with a solid plan. What follows is one person�s opinion of an appropriate wine collecting strategy. I say one person�s opinion, because like most things involving wine, for every person indulging in the pleasure, there is a different opinion from each one. What I�m sharing are 20 years worth of mistakes and successes that have fueled my life-long passion for wine, from buying, to storing, to enjoying. Step one in the process is to set a budget. Wine collecting can quickly get out of hand. In one�s quest to find more of those great wines, one can lose sight of just how much is being spent. To keep from dipping into junior�s college fund it�s sensible to start collecting by setting a budget. Understand precisely how much of your money you can allocate to wine purchases and then stick to it. Think about this for a moment. At an average cost of $10 per bottle, the average cost of a case is $120. If you were to buy a case of wine each month, you would spend a little less than $1,500 each year. May not seem like a lot, but how many of us are buying $10 per bottle wine? The reason why I picked $10 per bottle and rounded up to $1,500 per year is to make the math easier. At $20 per bottle and a case per month, the cost is $3,000. At $30, the cost is $6,000. You get the picture. Also think about this. At 12 cases a year you have 144 bottles in total. With 365 days in a year, 144 bottles means you can drink a bottle every three days, which equates to approximately 2 bottles a week. For some that�s a lot of wine, while for others that may be far less than they consume. At the end of the day, though, what�s important is how much you can afford to spend on this pastime. Step two in the process is to develop a buying strategy. Once you�ve set your budget and have an idea of your total spending, you now need to figure out how you�re going to spend that budget. Your buying strategy, while linked to your budget, needs to reflect more of your drinking patterns. For instance, let�s assume that you like to have wine with meals and usually enjoy at least a glass or two with each night�s repast. At four glasses per bottle you need approximately 2 bottles per week to enjoy with meals. Remember, in the last section this equated to about a case of wine per month. If your spouse or significant other joins in, then count on double the amount. Let�s also assume that you like to celebrate special events and family holidays with a nice bottle or two. Assuming an average of 12 major events or holidays in a given year, you now are looking at keeping another 24 �special� bottles around. So let�s recap so far. For regular consumption, planning on that 1 or 2 case per month purchase is not unreasonable. For special occasions you can plan another 2 cases over the course of a year, so in total, you�re buying 14 to 26 cases of wine per year. Sounds like a lot, but in reality this amount covers a modest imbiber. So your drinking patterns suggest that you ought to plan on buying 12 to 24 cases of ordinary, everyday drinking wine, along with 2 cases of specialty wines. You may also consider making 1 or 2 cases of your everyday wine more expensive, age worthy wines. Now you need to determine if you can afford this type of buying strategy. We know that 24 cases of $10 per bottle wine costs approximately $3,000. Another 2 cases of �specialty� wine at $20 per bottle will cost approximately $500. So, to support your buying strategy you will spend approximately $3,500. How does this compare with your budget? If you�re under budget, great! If you�re over budget, then you need to rethink your strategy looking for ways to economize. The answer may be less costly wine, or simply fewer cases of wine. In any event, an important calculation is to determine the number of cases you can afford to buy at $10 per bottle. Armed with the total number of cases you would like to buy in a year and knowing that number is based on an average bottle price of $10, you should be able to readily stay within your quantity and cost budgets as you shop for wine. So, how do you develop a wine cellar with a cross section of wines, some for long aging and some for ready drinking? This question is really an afterthought that should be considered once the first two components of this strategy are created. One of the most rewarding aspects to collecting and cellaring wine is the ability to enjoy your collection over time. Instead of having to drink up wines that could benefit from more bottle age, having a well-stocked cellar allows you to lay bottles down, while consuming more readily drinking wines. But how does one decide how much to buy to lay down versus how much to buy to drink today? Unfortunately there is no easy answer. However, let�s take a look at our prior scenario. You examined your budget and your drinking patterns and you determined that buying 26 cases of wine over the course of a year would satisfy your �daily� drinking habits. You also determined that you could afford to spend $3,500 on these purchases. Remember that this amount of wine translates to approximately 2 bottles a week (including a few extra for special occasions). Now lets examine these quantities over an actual year to factor in wine �types.� In New England, a three season climate, we often experience hot, humid summers as well as cold, snowy winters, with fall and spring as variable transition periods. In a three season climate it is not unusual for wine drinkers to develop three season palates, meaning that in the heat of summer, we turn to light-bodied refreshing whites and in the deep freeze of winter, our tastes turn more towards full-bodied reds. Given this swing, it makes sense for our buying patterns to consider seasonal variability. Looking at an average New England year we see that we have approximately 4 months of truly warm, summer-like weather, with about the same number of months as truly cold, winter-like weather. The remaining 4 months are �on the cusp,� so to speak, meaning the weather could range from hot to freezing. Looking at these periods, though, it only makes sense for us to buy enough summer-weight wine to support regular drinking over a four-month period. This suggests that of our 26 cases per year, no more than 8 are light-bodied, easy drinking summer-weight wines. If we look at the remaining 18 cases, it probably makes sense for us to buy about 10 cases as full-bodied, winter-weight wines. The remaining 8 cases should fall somewhere in between. Of the 10 cases of full-bodied wines, it makes sense to buy wines with a 3 to 5 year maturity window. This allows you to lay some of these bottles down without fear of having them pass their prime before you can enjoy them. Cool, constant temperature. Ideally, your wine storage area should be between 50 and 60 degrees Fahrenheit (10 to 15 degrees Celsius) with minimal temperature fluctuation. If you can�t find a spot that is cool, at least make sure it has near constant temperature. Try NOT to exceed 68 degrees Fahrenheit, though. Remember: the warmer the temperature the faster your wine will age. Also, the more the temperature fluctuates, the more likely your bottles will be subject to ullage. Ullage is the amount of wine lost due to the expansion and contraction of the wine during widely varied temperature fluctuation. Moderate humidity. Ideally, your wine storage area should be between 65 and 75 percent relative humidity. Cork, the natural stopper in the majority of wine bottles today requires humidity to maintain its condition and seal. Too little humidity makes cork brittle and difficult to extract, eventually leading to cork failure. For this reason, make sure you can store your bottles on their side. The same way humidity in the environment outside the bottle acts to keep the cork moist, having the wine in contact with the cork during storage will act to keep the interior of the cork moist. Try not to store your bottles inverted. While this will keep the cork moist, the inversion will cause any sediment to collect in the neck of the bottle, which will make it difficult to remove once the bottle is opened. No vibration. Ideally, your wine storage area should be free from any vibration. Esters, the largest group of aromatic compounds found in wine are formed when two odorless agents, alcohol and acid bond. Chemical esters are responsible for the �bottle bouquet� found in older age wines. Vibration will act to break up these chemical bonds, causing the esters to return to their component parts. This phenomenon can occur during the transportation of wine overseas or cross-country, which is why most shippers advise allowing your wine to �rest� after extended travel. While the chemical bonds that make up esters will usually reform after being jostled apart by travel, extended vibration could permanently damage the esters and forever alter the flavor and aroma of a wine. No light. Wine is adversely affected when subject to UV rays for extended periods of time. The primary reason that wine bottles are colored either green or brown is to provide some minor protection against UV radiation. For this reason, your wine should be stored in darkness as much as possible. Leave your wine alone. Once you have put your wine down for aging, you should leave it down without any further contact or movement until you are ready to drink a bottle. I have been asked frequently about the concept of turning the bottles a quarter turn every so often and I consistently reply by saying that advice is misguided. The last thing you want to do with your wine is to disperse the sediment across all interior surfaces of the bottle, which periodic twisting will cause. Your best bet is to allow all of the sediment to collect on one side of the bottle, allowing you an easy way of decanting the wine cleanly. Assuming that you don�t have a space in your home that possesses the attributes listed above (most of us don�t), you will forced to either build a space, or provide one with a piece of storage equipment. An excellent primer on building a wine cellar is How and Why to Build a Wine Cellar by Richard Gold, Ph. D. The book describes in detail the theory and practice of creating appropriate storage space for your wine. For those seeking a ready-made solution there are literally hundreds of pre-made units on the market, from furniture-quality library pieces to ready-to-assemble kits that will provide appropriate storage for as few as 50, or as many as 3,500 bottles. Most, if not all of the ready-made pieces come with a mechanical cooling unit to maintain temperature and humidity. The upside to these is that they are very consistent. The downside is that they require electricity to function and, like anything mechanical, they can fail, sometimes with disastrous results. Dr. Gold espouses the building of �passive cellars,� which don�t require any mechanical cooling devices, but in today�s modern home, this type of cellar is not very easy to create. A worthwhile calculation before you invest in storage is to compare the cost per bottle of a particular storage medium. For instance, I use a variety of storage units. One style I�m particularly fond of is the 500-bottle Vintage Keeper unit. It comes as a kit, which minimizes shipping and is quite manageable. The average cost per bottle for one of these units, including shipping is approximately $3.80 per bottle. I also have a larger room-size unit that holds approximately 1500 bottles. The average cost per bottle for the larger unit, including the shipping cost is approximately $3.00 per bottle. So you can see, understanding the cost per bottle of a particular wine storage option can be helpful in determining the true value of a particular storage unit. What can you afford to spend on wine this year? Number of bottles at $10/bottle? Number of glasses you enjoy each week	? Number of bottles you drink each year? Number of holidays you enjoy with wine? Number of bottles you enjoy at each holiday? Number of additional bottles you drink? Total number of bottles you drink each year? How does this compare with your budget?